I have an ornately tooled wade saddle for sale. 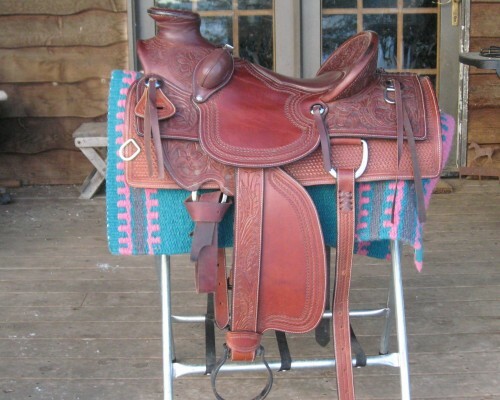 It has a 16" smooth full grain cowhide inlay seat. I can not locate a makers mark. It is in excellent - like new condition.